I took a sec to drop by Rock Park on the way home from work yesterday to check out the flows and see what kind of bug action was going on. It was super windy but there was a pretty gnarly gnat hatch happening. Bunch of Baetis nymphs hangin out under the rocks. Water was pretty green, only about 2 feet visibility. If that park isn't over run by tubes, rafts and kayaks, it might be a good convenient lunch time or after work section. Here are a some images, if you haven't had a sec to check that section out for yourself. 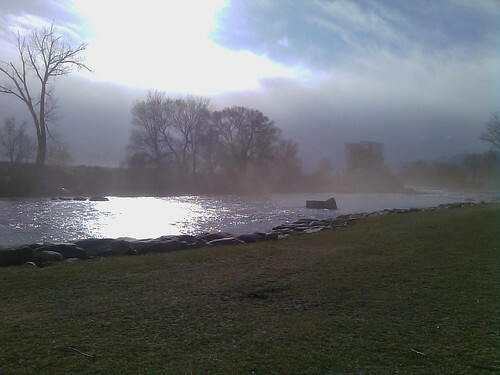 Over the past 24 hours river flows have shot up about 100cfs with weather that blew in last night. Don't need grandma's joints to tell you there's a storm blowin in. We packed up the pontoons and headed out to Hells Kitchen out at Pyramid this past Saturday. Without fail, the moment we got the tubes on the water the wind started blowing from every direction. Before too long it was pretty well impossible to fish from tubes, unless you were cool with ending your day on the north shore of the lake and walking back to the truck. By the time we threw in the towel, Tom had landed one on a black tad pole and Kellen had hooked in to a piggy on a size 12 red mahalo. We took a hike on top of hells kitchen to see if we could find any windless water but it was pretty well blown out. After packed the tubes up to the trucks, we saw some fish cruising in real shallow. You could see them surfing the breaking waves. This week looks like some standard spring weather for Nevada so turn your sprinklers off and get your snow suit out again. 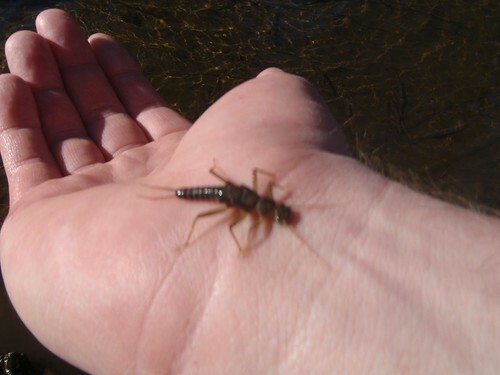 The word from a number of sources indicate that Pyramid is fishing pretty well on nymphs right now. Find something shiney, throw it on and GYDS. 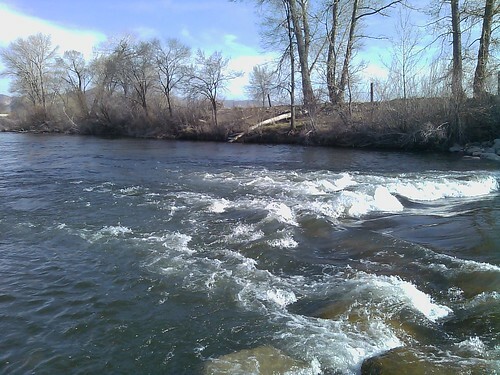 This blog is now your one-stop shop for Northern Nevada Water Flows! We made it out to the Truckee up near Hirschdale yesterday (Sunday March 21st). We got on the water around noon and fished until around 6pm. During this time the water went from clear to green and flows went up 30cfs (according to USGS). We threw everything at em from Stones, to bwo nymphs and a some steamers but no luck to report. right around 5pm we started seeing Stones hatching and there was at least one fish who seemed to feed on top for at least 10 seconds before he too, started suffering from lock jaw and went back to his hiding spot. At the time of this post, river flows are up about 50CFS over the past Day. 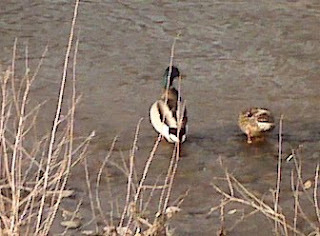 Spring thaw in effect. Now is the time to spend your day tieing flies and hitting Pyramid. Here are a few pics of the Skwala's we saw hatching and a some other notables. The shot of the river shows some of that chocolate milk thaw that makes this time of year so lovely. Snow run off all over at the higher elevations. Also keep your eyes open for "Kellen's Sierra Nymph" which is coming soon!!! 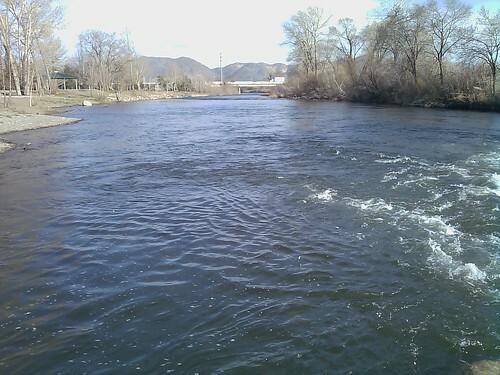 Made it out to the Truckee on Sunday (03142010). Conditions east of town, sunny, breeze from the east and a bit chilly. 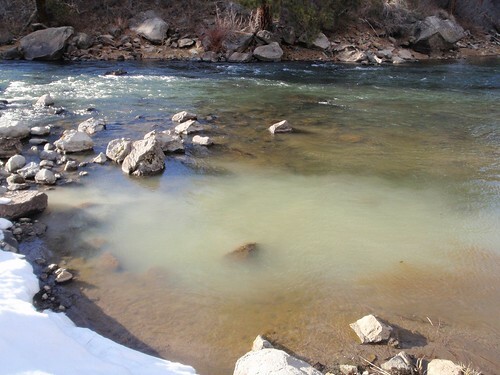 The water was soupy green and flowing at about 500cfs. Didn't spend much time east but headed up in to the hills west of Reno. Conditions west of town, sunny, slight breeze blowing up the canyon. Water was clear, flowing at about 400cfs. Fish caught on size 16 hares ear in small pocket water / tailouts. 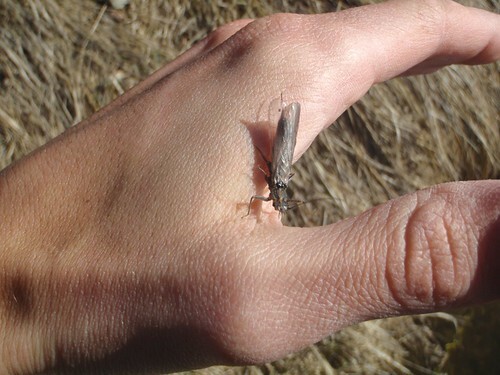 BWO hatch around 2pm but didnt see a boost in feeding activity at the time. At the time of this post I would have assumed that flows would be increasing with the nice warm weather but they seem to have a dropped a bit. Keep your eyes open, should be a nice weekend to hit the river. Hello, this blog is brought to you by a few buddies in Reno, NV. We hope to provide at least weekly updates from our fly fishing trips around the area, fly tying input and local conditions.